Thank you for your interest in Saint Thomas More Catholic School (STM Catholic). We are pleased that you are interested in learning more about the STM Catholic community and what makes us a unique learning environment. 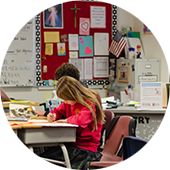 The school prides itself on being both academically rigorous and personally nurturing by emphasizing the spiritual, intellectual, emotional and physical development of each student. We offer a well-rounded curriculum that academically prepares students for the most demanding high school programs in the region while giving them the opportunity to grow in understanding that an authentic Christian life is about much more than marks on a grade report. Should you have any questions or concerns, please use the contact us link or call me at (303) 770-0441. We are accepting applications for openings in certain grades. A completed application form must be submitted by the due date for the desired academic year. Each student must complete and pass our standard entrance examination. Students entering Kindergarten must be five years old on or before October 1. Results of readiness screening will also be a factor in determining acceptance into Kindergarten. Students entering First Grade must be six years old on or before October 1. Students seeking admission to First Grade must also meet the criteria set by first-grade teachers regarding student readiness for the academic program. All students admitted will be admitted for a probationary period of one academic trimester before full admission may be extended. Children from families who are registered, contributing members of Saint Thomas More Catholic Church. Children from families who are registered in other Catholic parishes. Special consideration will be given to Catholic school students moving into the area. Children from non-affiliated Catholic families.